If your message is corrupted in any way please click here to view this newsletter online. Press here to view "The Ringing Cedars of Russia" newsletter page. When technology came new generation of synthetic drugs were manufactured, majority of which have very troublesome affect upon health. Today it is not unusual that some people have to sacrifice their body parts in order to stay alive. Yet just recently in a past it was quite common that a person could cure himself of any illness. Our goals are to recreate knowledge of natural healing and bring a Man closer to Godly Nature. Today we offer you an informative article titled Industrial Herbalism. Also, active participants along with members of the "Source of Life Association" worked hard together to compile a topic on Herbal Medicine in our Resource Library. To find out more, click here. News from "Ringing Cedars" World Wide Movement. Forum of the Source of Life Association. Source of Life Resource Library. The dawn of the 21st century finds health and healthcare in a remarkable dichotomy. On the one hand we have exponential growth in medical technology, cutting edge surgery, new and improved wonder drugs and scientific breakthroughs in medical research every day. On the other hand we are seeing epidemics of new modern-day diseases like diabetes, ADHD, obesity, anxiety disorders, and countless others. We see alarming proportions of the population dependent on anti-depressants, blood thinners, insulin, ad infinitum. There's a drug for every complaint—do it yourself over-the-counter meds and big gun prescription drugs. Yet in spite of all these major advances on the medical frontier, more and more people are seeking out alternative medicine in the pursuit of health. Herbal medicine is enjoying a modern-day renaissance as people are rejecting the onslaught of drug therapies with their questionable results. And rightly so. Almost all drugs have unwelcome side effects, some subtle, but some so severe that they compound the original problem in a downward spiral. Sometimes drugs are prescribed as an antidote to side effects from other drugs! Drugs are too often prescribed as a quick-fix solution to problems that could more easily and safely be corrected through simple diet and lifestyle changes or nutritional counseling. Drugs have no nutritional value. Vitamins and minerals are the true building blocks of health. Most of today's chronic ailments are from nutritional deficiencies which drugs are powerless to correct. Drugs can provide comfort from pain and symptom relief, but drugs do not and cannot heal. Drugs are often substitutes for tender loving care (TLC). Drugs can never replace exercise, fresh air, nourishing food, positive attitudes, right relations, love and other keys to healthy living. As folks get more savvy to these problems and increasingly discouraged by the failings of the healthcare system, the herb market is wide open and flourishing. We see new companies and new herbal products on the shelves each year, even finding their way into mainstream drug stores competing with pharmaceuticals. Some of the larger co-ops and health food stores have specially trained staff to help consumers select appropriate remedies. Alternative health care providers have to be up-to-date and knowledgeable about the latest product lines. Even mainstream doctors are finding it necessary to familiarize themselves with popular herbs and their usage. It is heartening to see people turning once again to this most ancient tradition of healing, but there is also a downside to the growing herb industry that we need to be aware of. We are beginning to encounter some of the same problems that we see with our industrialized, mechanized health-care system. For one thing, our herbs are beginning to look more and more like drugs! Most people have absolutely no connection to the plants themselves, the very heart and soul of herbal medicine. There's a vast difference between seeking out your medicine from the forest and the field and choosing a product from a shelf in a drugstore. Some folks are spraying their lawns with noxious chemicals to rid themselves of dandelions and then turn around and pay 15$ for a bottle of dandelion root extract for their hypoglycemia! In the quest for the simpler wisdom of ancient times, we get inevitably sidetracked by the lure of the marketplace. Mass production of herbs, not necessarily organic, compromises the quality and value of the herbs. Warehoused herbs suffer a loss of potency in shipping and storage, especially dried, bulk herbs, which compromises their effectiveness and integrity. Mass exploitation of wild herbs puts more and more plants on the threatened and endangered list each year. We see this here in the US with the plight of the Goldenseal, wild Ginseng and native Echinacea. Pop herbs from the rainforest and other exotic places also open the way for exploitation of indigenous peoples and habitats. Environmental and economical costs of shipping and transportation of herbs soar as we seek our medicine from afar rather than in our own bioregions. Many herbal products that are imported long distances grow in reckless abundance all around us. There are almost always local herbs that are just as effective as exotic imports. We lose connection with the growers, harvesters, and producers of herbs and herbal preparations, a vital link in a healthy community. Maintaining this connection ensures high quality and accountability by the suppliers. It also helps to bring the knowledge of herbal medicine back into the hands of the people, rather than relinquishing it to specially trained professionals and profiteers. With the rising popularity of herbs and natural health care products, we can easily envision that it won't be long before the drug corporations co-opt the market, driving out small, ‘backwoods' suppliers and controlling the sales and distribution of herbs with heavy regulations and licensing requirements. Herbs are no longer plants, but products on the shelves. Most people today have become thoroughly divorced from the land, trained instead to be smart shoppers. Milk comes from a carton, soup comes from a can, herbs come from the co-op. One fad herb after another gets spotlighted as the cure for what ails you, while the deeper, simpler truths about herbal healing are lost in the fray. Knowledge of the herbs used to be common to all, intricately woven into the daily lives of primitive and land-based cultures, as familiar as the menu at McDonalds is today. It was a natural, organic wisdom in times when people lived by the grace and mercy of the land. Supermarkets and drugstores are a relatively new phenomenon in the history of the world. Specially trained medicine people were equipped to handle unusual or crisis situations when all else failed, but routine health care was always in the hands of lay people, usually housewives and mothers. Today our lives have become so compartmentalized that we delegate responsibility for our health to professionals and specialists along with many other basic skills once common to man. People are forced to seek out the experts because they have become so removed from the plants that grow at their very doorstep. The truth is that herbs are not drugs, they are not substitutes for drugs, and they are not meant to be used like drugs. In the beginning the herbs were given to man and animal for food. Wild animals do not take drugs, nor do they need vitamin supplements; they are perfectly sustained by the plant kingdom. Even the carnivorous animals higher up the food chain are eating the wild herbs in the flesh of their prey. Today we see domesticated animals raised for market production being pumped full of hormones, antibiotics, and other drugs because artificial diets cannot sustain them. Shockingly, the same can be said for the human population. We need to bring the herbs back to the table, first and foremost!!! When herbs are recognized as food and sustenance, nutritionally superior far and away above anything on the shelf at the local supermarket, then the healing can begin. The deepest truth about herbs is that they heal by nourishing us, by supplying our bodies with all the nutrients and building blocks of health so that we can be strong, vital, and able to resist and overcome many of the ailments afflicting mankind. The root of nearly all disease is malnutrition, even in first world nations. Herbs heal best by preventing and reversing nutritional deficiencies so the body can restore itself to its natural state of health. Without this foundational understanding of herbs, herbal medicine is a farce and a counterfeit system. 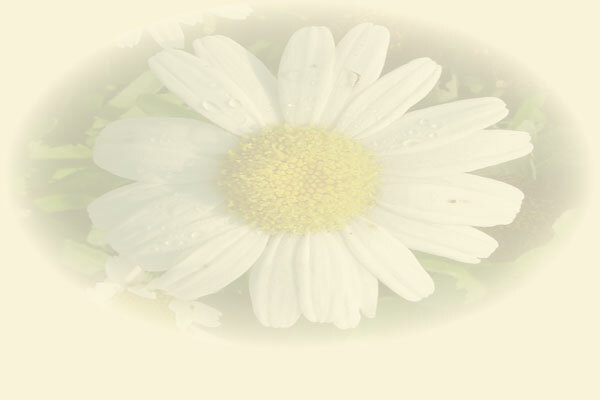 As for first aid needs, you don't need a laboratory to prepare effective herbal remedies. Any kitchen will do. Harvesting herbs and preparing home medicines for food, first aid and basic comfort needs should be as normal and natural as gardening and cooking dinner. We need to demystify the art of herbal medicine-making and bring it back into the kitchen. Making healing salves, tinctures, syrups and teas is simple, fun, and fulfilling. You don't need special equipment or special ingredients for most preparations. A few afternoons spent in the field and in the kitchen can supply a family with basic first aid and home comfort needs for years to come. It's so easy, even the kids can help! Sure there are situations and life-threatening illnesses that need special attention outside the home from competent professionals. I am not advocating something radical or dangerous, but simply to put medical technology in its rightful place and use it appropriately. Rather than being totally dependent on it, it should be a resource to use when home treatments are not enough. Any family doctor will tell you that much of what comes into his office could have easily been handled at home. What are needed most in the realm of modern-day herbalism are teachers! There are books and information about herbs abounding, but there's a serious shortage of experiential knowledge, apprenticeship opportunities, and hands-on sharing. We need to remind ourselves of the story of the hungry man who was not fed by telling him about fish or selling him a fish, but by teaching him how to fish. This should be the way of the herbalist, the responsibility of everyone who has been gifted with this knowledge. For this new renaissance of herbalism to truly have an impact on the health of the people, it needs to be put back into the hands of the common people. The ultimate mission of an herbalist in today's world should be to restore the broken relationship between the people and the plant kingdom, not to get so caught up in marketing, production, and professionalism that this knowledge remains in the hands of the few. We stand in the gap between our ancestors and our future generations. Freely we have received, now freely give. We need to recognize the trend of industrialized herbalism for what it is and bring herbalism back to its roots. "Ringing Cedars" World Wide Movement. July 23/2006 - Day of Earth! On behalf of "The Ringing Cedars" Community and the Source of Life Association we would like to congratulate every one with "Dachnik's Day and an All-Earth Holiday" and wish everybody Peace, Health, and Prosperity! The holiday was welcomed and selebrated in many countries. Celebrations were filled with pure emotions, love and joy. We wish that this bright holiday spreads all over the world and makes every person happier! Curriculum: Technologies of construction; Application of latest technologies in development of Kin Domains (further - KD); Socially - psychological aspects of KD; Prospects of civilizational development; Eniography; Ancient Vedic Culture; Art of Imagery; Ecology of Man and spiritual obstetrics; Newest methods of education and upbringing of children; Handicraft in KD; Creative agriculture; Natural land tenure; Family matters; Alternative power engineering; and much more. Upon completion of the course the Academy will issue an improvement course certificate on the subject of "Creation and Development of Kin Domains"
Academy of Development of Kin Domains invites every one to participate in our program. Monthly enrollment begins at 10am every last Saturday of the month. Cost of the course is equal to 7500 roubles. Children ages 9 - 14 can attend lectures with parents for free. In September 2006 two more additional courses are scheduled in city Gelendjik. Participants will also attend a readers conference and visit to Dolmens. Location: Club "Pure hearts of the Planet", city - Moscow. Location: City - Gelendjik, Djanhot, Pshada, Zhane river, Krasnodar region. Location: Eco-Village "Rodnoe" - summer camp for children and parents. Prior Registration is nessessary for an optimal and correct forming of a study group. For inquiries please e-mail to events@sourceoflife.ca. Do you have any news related to "Ringing Cedars"? Is there an event being organized in your area? Make an announcement in our next newsletter! Send us an e-mail to events@sourceoflife.ca. 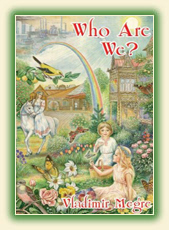 Please visit the forum at Source of Life Association and share your opinions on the books of Vladimir Megre. Discuss Anastasia's ideas about harmonic life, and how you use them for yourself. Share your impressions. Opinions - Anastasia's ideas in books by V. N. Megre. Share your thoughts. Health - Share your experiences. About Our Children - Forum that is dedicated to our children, from birth to education. Let's build a strong community together. Support each other with positive thoughts and create a real plan for making our dreams come true. So, I fully agree with Petr - do not experiment, handle them with care and love. Don't be afraid to pick up your mushrooms for meal (when I was student I used to go out in the morning for my mushrooms for breakfast), but only if you're 100% convinced about them. Join the discussion of this topic. We invite you to visit "Herbal plants" section of or Resource Library where readers along with the "Source of Life Association" have compiled a series of articles on the subject of Herbal Medicine. We thank everybody who participated in creation of this collection. Herbal Medicine vs. Western Medicine. Just use your common sense. Also, check for articles in a different section of our Resource Library. Please take part in expanding this online resource. If you have any knowledge on selected subjects please share it with everybody. Post your articles in our Library or e-mail your the information to petr@sourceoflife.ca. Your knowledge is needed! Siberian cedar products under "The Ringing Cedars of Russia" brand name now in Europe! We are happy to announce that Siberian Cedar products under "The Ringing Cedars of Russia" brand name and an amazing series of books by Vladimir Megre in English is now available in Europe. Now you can enjoy fast shipping, no shipping surcharge, low shipping rates for orders made from Europe, professional attention for you! The "Ringing Cedars of Russia" brand brings you top-quality products from Siberian taiga - including "Cedar Nuts" and "Cedar Nut Oil" - helping to sustain forests, communities, and a healthy, Earth-Conscious Lifestyle. Word of mouth is our best advertising. The world needs the Ringing Cedars to be widely available in English, please tell your friends and neighbors about us. Better yet, share our Web site, www.RingingCedarsofRussia.org, with them and help spread the word. It is wonderful if Anastasia's dream comes true in this country, too! We adhere to the highest ethical principles of business as expressed in this book. Part of our revenue goes toward promotion of the ideals set forth in the "Ringing Cedars" series of books. Special promotional discount for everybody! Only two weeks from July 26, 2006 to Aug 11, 2006 we offer you a great promotional discount "Buy 2 get 1 free!" of "Siberian Cedar Nuts" 100g. bag. Click here for more information. 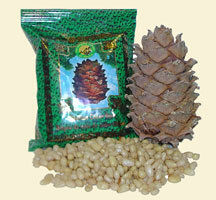 Our promotion for "Siberian Cedar Nuts" 500g. bag is running out on Friday, July 28, 2006. You still have a chance to get a great discount of 30%! Click here for more information. 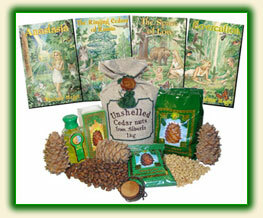 Among the gifts of cedar forest cedar nuts are a true treasure. Its nutrition characteristics and usefulness can somewhat be explained by the qualitative and chemical structure. High concentration of amino acids (with the prevalence of argenin – up to 20%), the easily digestible proteins, a whole complex of vitamins, including E, B – make this product one of the most valuable for human organism, especially so for children and pregnant women. It has been approximated that 100g of cedar nuts is sufficient for adult's daily needs in amino acids and important micro elements - copper, cobalt, manganese, and zinc. Overall the easiness of digestion and usefulness of the nuts are extremely high. Good idea to save your money! Books for you relatives and friends! Make the perfect gift! Or you can buy the books together with your friends and save 15% to 20% plus a free delivery! Order from 5 to 11 copies - save 15% plus a free delivery! When you ordering, simply put in a Quantity field no less than 5. Order from 12 or more copies - save 20% plus a free delivery! When you ordering, simply put in a Quantity field no less than 12. Maybe you are interested in larger discounts and partnership with us? Visit our Wholesale page. Please feel free to contact us in the manner in which you are most comfortable. We will be happy to get back to you as soon as possible. Word of mouth is our best advertising. The world needs the Ringing Cedars to be widely available in English, please tell your friends and neighbors about us. Better yet, share our Web site, www.RingingCedarsofRussia.org , with them and help spread the word. It is wonderful if Anastasia's dream comes true in this country too. If you found this e-news useful to you please forward it to your friends. The content of "The Ringing Cedars of Russia - Earth Conscious Lifestyle Newsletter" is copyrighted by www.RingingCedarsofRussia.org, and, occasionally, other rights holders. You may forward this Newsletter by e-mail an unlimited number of times, provided you do not alter the content in any way and that you include all applicable notices and disclaimers. You may print a single copy of each issue of E-News for your own personal, noncommercial use only, provided you include all applicable notices and disclaimers. Any other use of the content is strictly prohibited without the prior written permission of www.RingingCedarsofRussia.org, and any other applicable rights holders. Copyright 2006 www.RingingCedarsofRussia.org All Rights Reserved.